High-efficiency furnaces and boilers have a second heat exchanger that captures most of the heat standard furnaces waste. When you are replacing an older furnace or if you are choosing a furnace or boiler for new construction, you are likely to be faced with a choice between a mid-efficiency "regular" heating unit and a high-efficiency one. Also known as condensing furnaces and boilers, high-efficiency units are so called because they more effectively extract the heat produced by the bank of burners. 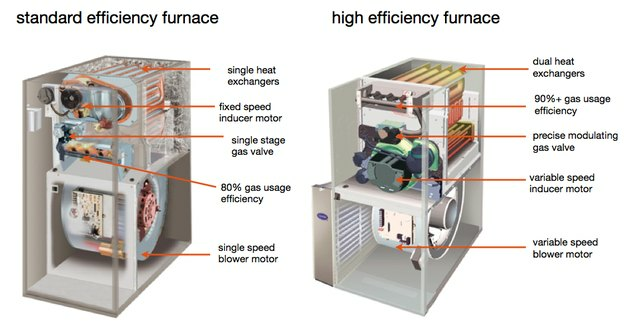 Where a mid-efficiency furnace may utilize 80 percent of the heat produced and send the other 20 percent up the chimney in exhaust gases, high-efficiency equipment extracts as much as 98 percent of the heat energy produced. That higher efficiency means, of course, that you will use less fuel to keep your home comfortable and expel less exhaust in the form of carbon dioxide and water vapor into the atmosphere. So Why Wouldn’t You Opt for High Efficiency? If your furnace or boiler will be installed in new construction, your choice is easier. The special requirements of a high-efficiency furnace can be factored into the design from the start. But if you are considering high-efficiency heating equipment as a replacement for a mid-efficiency unit, the decision is not always that simple. Sometimes retrofitting your venting setup to accommodate the specific requirements of high-efficiency can lead to unanticipated expenses. It's not a simple direct swap. High-efficiency furnaces offer more features and control than standard models but calculating cost savings can be complicated. Regular mid-efficiency furnaces and boilers operate by turning on a set of burners inside a combustion chamber whenever the thermostat in your home falls below its set point. The burners heat the air inside the sealed (except for the exhaust vent) chamber. A powerful fan draws in air and pushes it into the serpentine heat exchanger within that heated chamber, then propels it through ductwork and finally out the heat registers until the home is sufficiently warmed. Then the thermostat shuts down the burners. Boilers work essentially the same way except they use pumps to push water through a heat exchanger situated in the hot atmosphere of the combustion chamber, and the heated water is then distributed through radiators. The air inside the combustion chamber is very hot and it moves continually through and up the chimney, replaced by air drawn in from the space surrounding the furnace or boiler. Even after it has transferred much of its heat energy to the air passing through the heat exchangers, the exhaust gases retain enough heat for them to rise naturally up the vent and out the chimney. High-efficiency furnaces and boilers also have burners triggered by the thermostat and a combustion chamber where air is heated and most of that heat is transferred by means of a primary heat exchanger to the warmed air or water that will be distributed throughout the house. But the air or water passing out of the primary heat exchanger leaves behind a significant portion of the heat energy produced in the combustion chamber uncaptured, and rather than let that energy escape, high-efficiency furnaces and boilers divert the warmed circulating air or water through a secondary heat exchanger. Typical venting for a high-efficiency furnace or boiler with separate air intake and exhaust. Regular mid-efficiency furnaces and boilers draw in air from the surrounding environment to support combustion. This air is already warmed if the equipment is located within the living space so that, in a sense, it's a waste of useful energy. The blower-driven draw of air into the furnace and up the chimney also creates a negative pressure within the house. That negative pressure induces outside air to enter the house through any available gaps or cracks, a process called infiltration. Infiltration makes houses drafty and in extreme cases can reverse the flow of exhaust up the flue or chimney, potentially leading to carbon monoxide poisoning. High-efficiency furnaces and boilers employ a sealed combustion chamber. 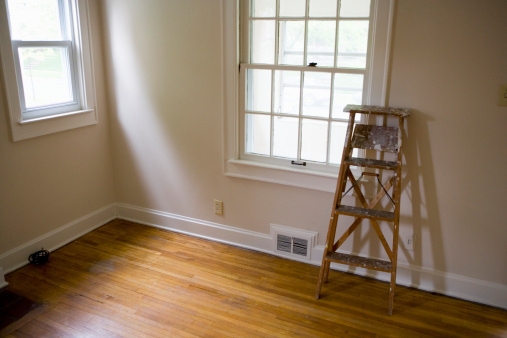 Although in instances where the furnace or boiler is located outside the living area—like an attic or garage—intake air is sometimes drawn from the surrounding space, ideally the air to support combustion comes from outside the house. It's cooler, with less moisture content and less likely to carry corrosive elements than indoor air. Outside air and a sealed combustion chamber will not promote infiltration, so a house heated by high-efficiency equipment will be less drafty. 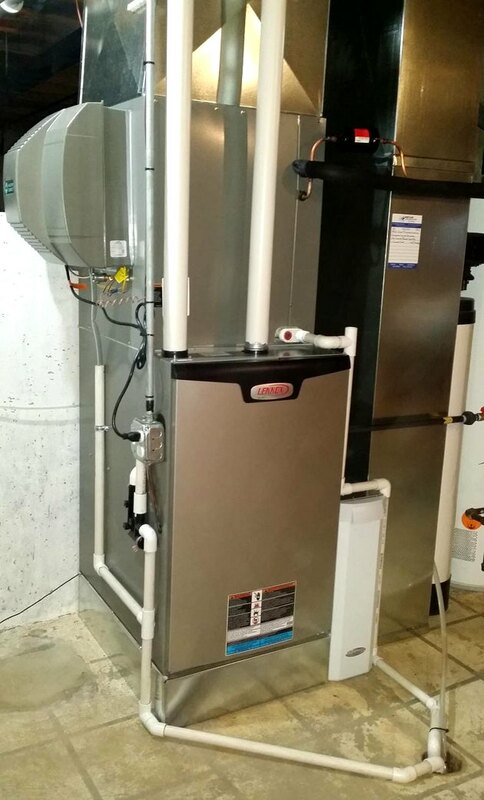 An installed high-efficiency furnace with CPVC vent pipes and drainage lines to a floor drain. As explained earlier, high-efficiency furnaces and boilers extract the heat energy from combustion so successfully that the cooled exhaust begins to condense and any remaining water vapor and carbon dioxide is too cooled to rise naturally up a flue. The liquid condensed from the exhaust is a mixture of mildly acidic carbonic acid and water—corrosive enough that secondary heat exchangers must be constructed from stainless steel or aluminum. That liquid discharge from the furnace must be channeled via plastic tubing to a floor drain or, in some cases, outside. 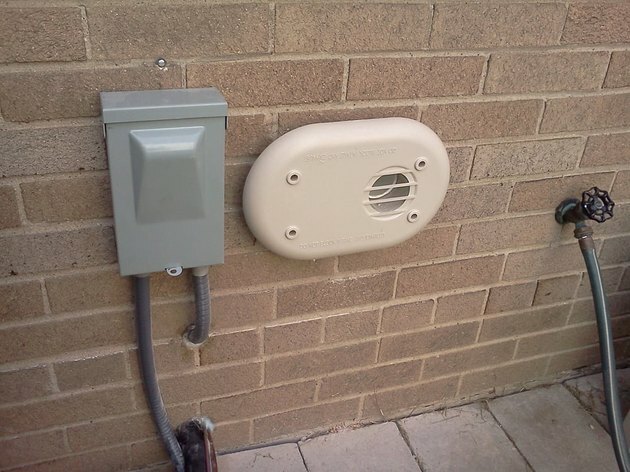 A vent fan is necessary to propel the remaining exhaust outside. Because the exhaust no longer has any appreciable lift of its own, expelling that exhaust upward and out a roof vent is usually beyond the capabilities of the vent fan unless the furnace is located in an attic space. Optimally, high-efficiency furnaces should be vented through the nearest wall. In new construction that seldom presents a problem since the building plans can be arranged to enable locating the furnace or boiler in an ideal space with a venting wall and floor drain nearby. In an upgrade situation, where the previous equipment was mid-efficiency, the issue of proper venting can pose problems and entail extra expense. 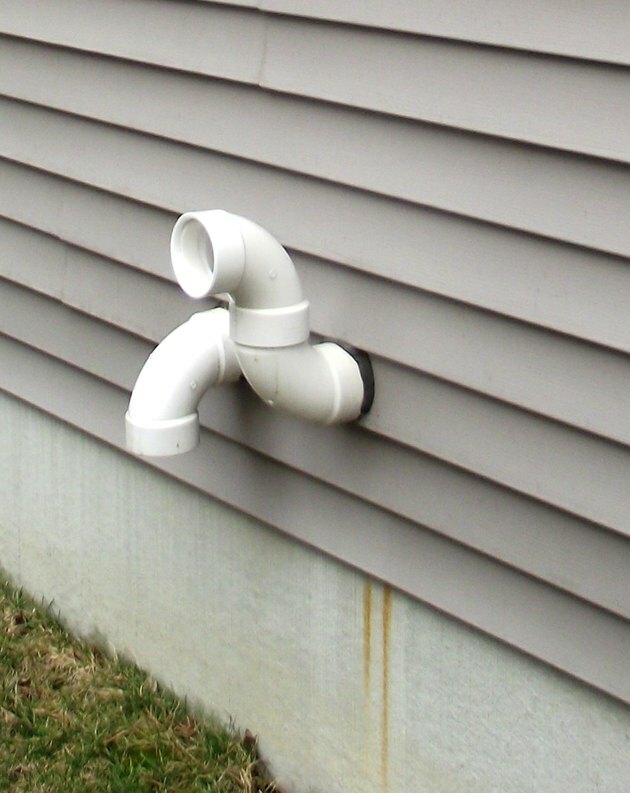 Recommended vent piping for high-efficiency furnaces is CPVC or ABS plastic. Each furnace or boiler manufacturer will have specifications as to the proper pipe diameter and the maximum allowable length of the pipe run. Elbows in the run increase the airflow resistance and correspondingly decrease the allowable length. If the maximum run is exceeded or if any obstruction inhibits the airflow in the vent, a safety cut-off switch may shut down the furnace. Typically two pipes run from the furnace or boiler to the outside wall—one for the air intake and one for the vent—and they must be terminated with hubs that prevent rain, snow, or other debris from entering the pipes. Some installers use a concentric pipe-within-a-pipe vent system whereby the inflow air is drawn into an outer chamber and the exhaust passes through a pipe in the middle. The vents should be high enough on the wall to avoid obstruction by snow and positioned so that the exhaust cannot be drawn into the intake. A low-profile vent cap. The intake air is drawn under the cap and the exhaust is barred to keep out debris and animals. In many homes with mid-efficiency furnaces and gas water heaters, the furnace and the water heater share a common flue. When the switch to a high-efficiency furnace or boiler takes half of that partnership away, the flue becomes too large for the water heater, now known as an orphaned water heater, to draw properly. To correct this requires an insert into the chimney flue—an additional expense that must be taken into account when budgeting for a high-efficiency replacement to a mid-efficiency heating unit. High-efficiency furnaces and boilers present many advantages. 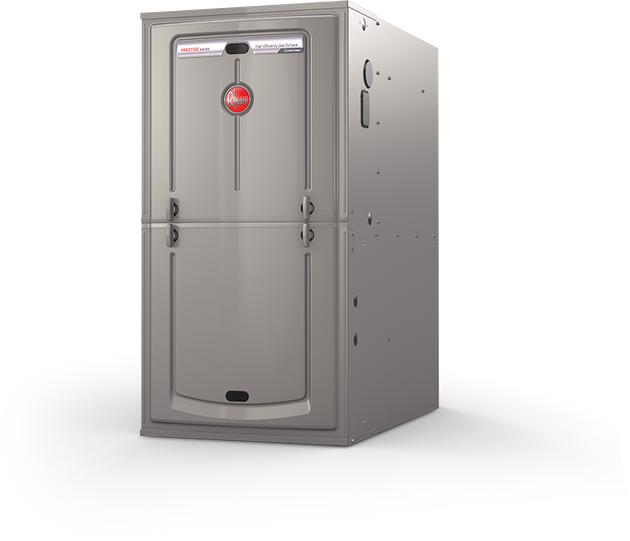 Beyond the increased fuel efficiency and reduced carbon emissions, high-efficiency furnaces and boilers are more sophisticated, with more levels of control and greater protection from infiltration and carbon monoxide build-up. Still, it's important to be aware not only of the obvious expenses but also the hidden costs that a change from mid- to high-efficiency may entail. Those extra costs may cancel out your anticipated savings in fuel costs for a while.